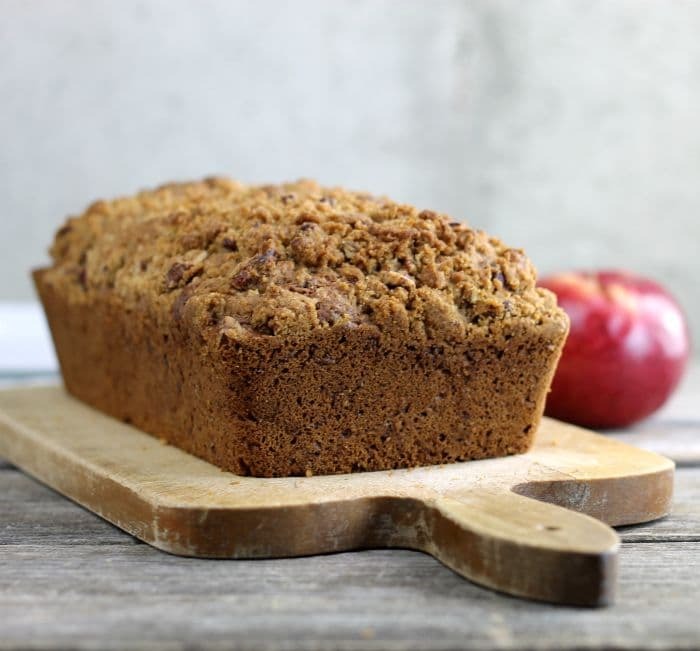 Apple Cinnamon Quick Bread a perfect quick bread that you can eat for breakfast or for a quick snack during the day; I am sure you are going to love this bread. 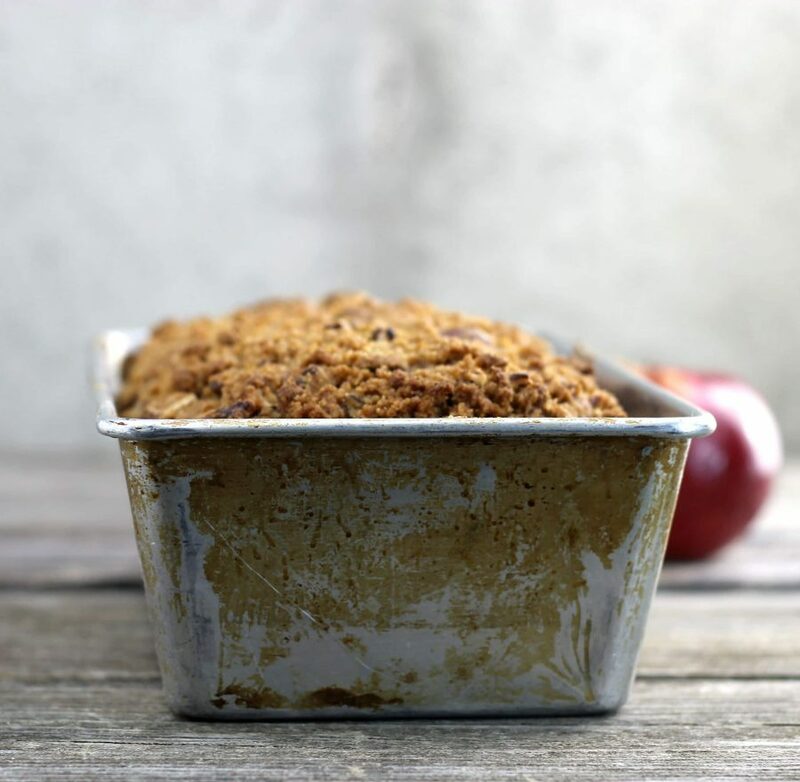 Apple cinnamon quick bread, a dense bread filled with the wonderful flavor of apples and cinnamon. It will fill your house with an amazing aroma as it bakes. 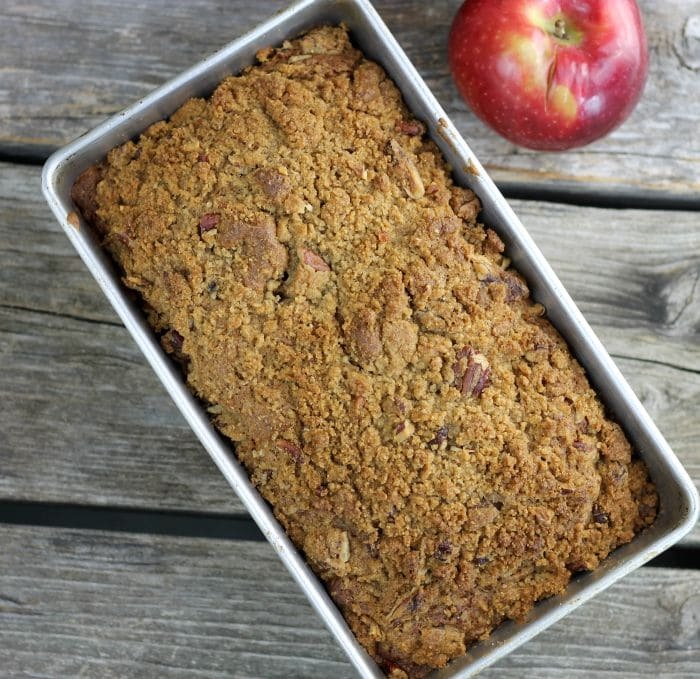 Although apples are a great fall fruit, I love to bake with them year round. I mean who doesn’t love a slice of apple pie any time of the year. Apple pie with a scoop of ice cream is a great dessert on a hot summer day, yum! I had a few apples in the fridge that needed to be used up, not enough for a pie or a dessert, so I started looking through some cookbooks that I received from my mom. This cookbook is one that came from my mom’s church, she had it forever before she gave it to me. But anyway I found a recipe for apple loaf and decided to give a try. Of course, I changed things to the recipe that I thought I would like better. I love the flavor that the apples give to the bread. The bread is a hearty bread with lots of body. Quick breads are leavened with baking powder and/or baking soda. They usually are made with fruits or/and nuts. The breads are baked immediately after the ingredients are mixed together. What are some of the variety of quick breads? 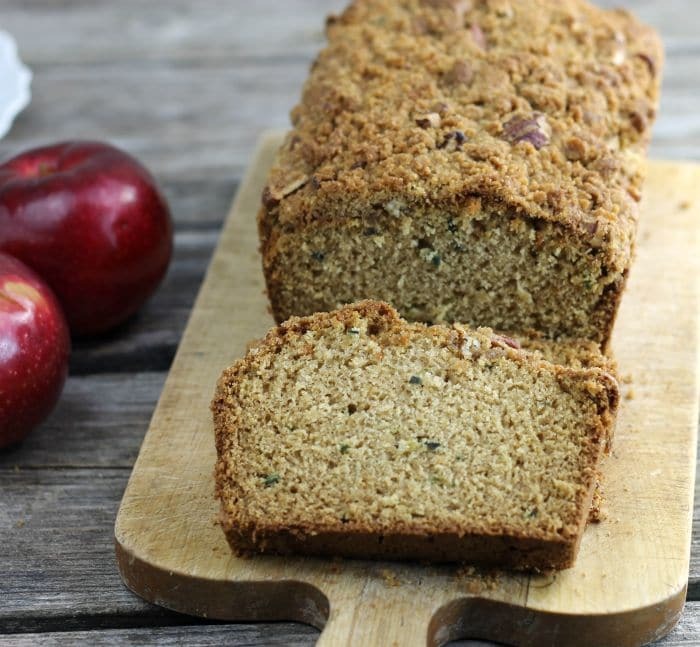 Apple Cinnamon Quick Bread a perfect quick bread that you can eat for breakfast or for a quick snack during the day I am sure you are going to love this bread. Preheat oven to 350 degrees F. Grease a bread pan. In a medium bowl cream together the butter and the sugar with an electric mixer. Add the eggs and beat them in. Add the finely chopped apples and mix in. Sift together the flour, salt, baking powder, baking soda, and cinnamon. Add the flour mixture to the batter and mix until well combined. Pour into the prepared bread pan. Add the brown sugar, 1/4 cup granulated sugar, and pecan and mix together. Add the butter and cut into until you have small crumbs. Sprinkle the streusel topping over the top of the bread. Press the streusel topping lightly into the bread. Place the bread into the prepared oven and bake for 50 to 55 minutes or until a wooden pick comes out clean. Remove from the oven and cool on a cooling for 10 to 15 minutes and remove from the pan. Continue to cool until completely cooled. For the apples I used Macintosh, but you can use your Granny Smith or your favorite apples. Do not peel the apples for this recipes. What a bakery perfect quick bread! Gorgeous crumb and that streusel topping is totally irresistible! Hi Dawn! 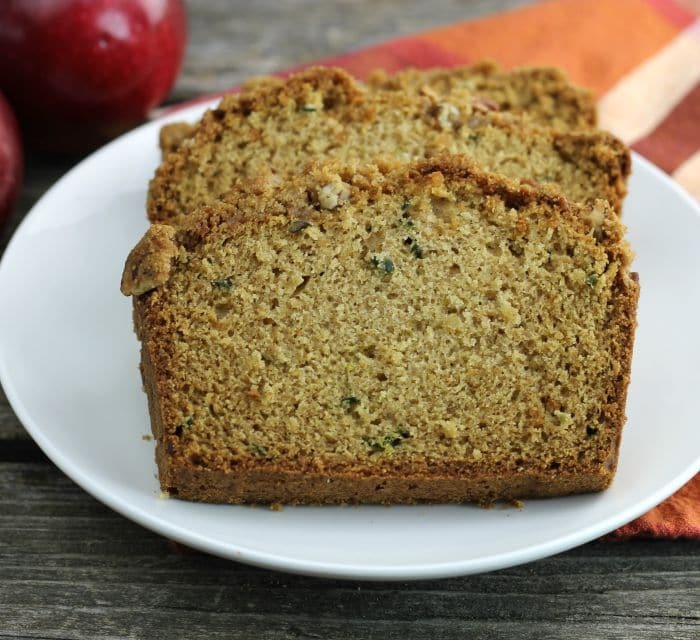 I love making quick breads and this one looks darn good. I also use apples year-round. A slice of your apple cake with a cup of tea in the morning sounds like a nice way to start the day.